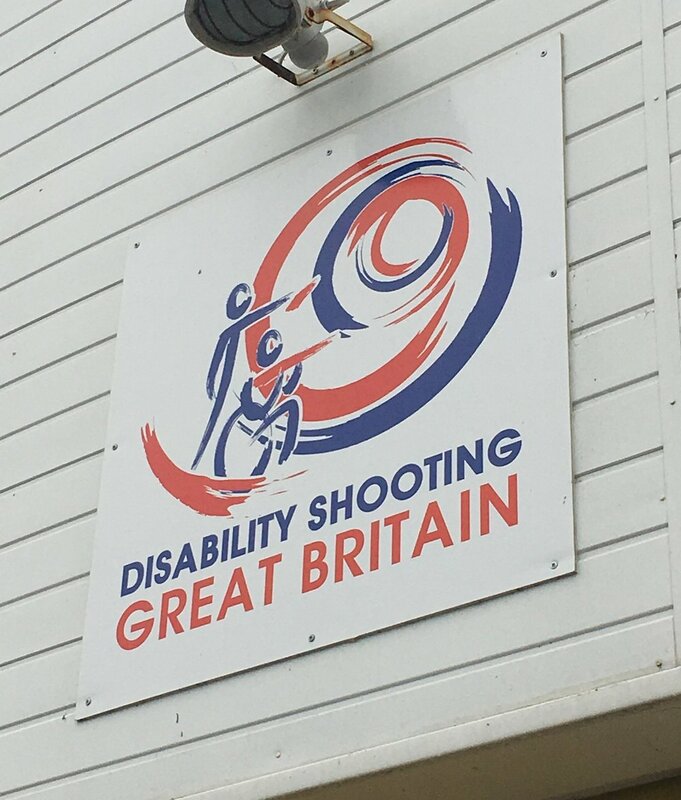 Back in April, when I first started working at Back Up, I went along to the Spinal Unit Games; a great event for those recently discharged from spinal units across the country to compete as a team at a range of sports, often attended by British team coaches and NGBs (national governing bodies) for the different sports. I didn't go after I left Stoke Mandeville so I was intrigued to see what it was all about. In our orange t-shirts we were there to run a wheelchair skills obstacle course competition and to talk about Back Up and the great work that we do. It is at this time, shortly after leaving hospital, that people are often very vulnerable and, certainly for me, it's when Back Up couldn't have come at a better time. Me having ago on the awesome (segway style) Genny wheelchair at the Spinal Unit Games - definitely on my wish list! During the day that I went, I chatted to a lot of people, particularly seeking out those in the Sheffield and Pinderfields hospital teams as these are the spinal units I work with. Alongside this, we had a chance to have a go at some of the sports, which was a lot of fun. I tried archery (which I was pretty hopeless at! ), badminton and table tennis (where I was sorely beaten by a friend who's now training with the GB team!) and at the end of the day, before I was about to leave, I popped into the shooting building to see if they were still running it. I was curious because I can remember when I was younger, having a go with an air rifle, shooting balloons and cans on our garden fence. I vaguely remember not being too bad at it but mostly I remember how good my late father was. People were always telling us how good he was and my brothers have inherited his talent. So I suppose I wanted to see if I could get a bullseye. The coach had finished off for the day when I came in but offered me a go. I started with a bigger target which I managed to get on to the (bigger) centre, then he switched the target to a smaller one, on which I was very close! I was pretty chuffed and took my targets home with great pride! The coach took my email address but I didn't think much more of it. Was happy with my near bullseye - although didn't manage the 'cluster' that was apparently what was the aim. 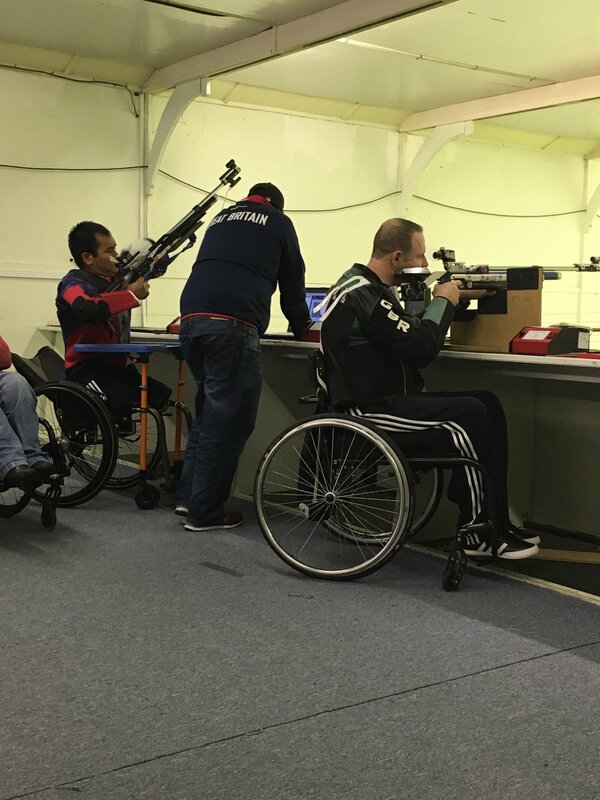 A few weeks later I got an email from him asking me to come back for a trial day at the same shooting range at Stoke Mandeville. I went along and, under supervision of one of the coaches - a Russian man called Igor of few words, namely, yes and no if you were doing it right or wrong. Me and the other guy, Scott, stifled our giggles and followed instructions. I was pleased enough with my shots on the target, which I got pretty well on the bullseye. Although was later told that the aim of the exercise was to have the shots in one cluster to show that you were consistent - mine were certainly not in a single cluster! We were also classified to ensure that we were classifiable. Scott and I both had similar level SCIs (spinal cord injuries) and were classified but the other girl who was there had an incomplete injury and was able to walk, so was (sadly for her) unclassifiable. It is an interesting system which is often discussed and debated, particularly between athletes, in lots of Paralympic sports. We were told we'd hear whether we had been selected in due course. Due to the Paralympics in Rio not long after, we were slightly put on the back burner and I didn't hear a thing for several months. Initially I looked through the post with anticipation each day in the hope of receiving a letter. I didn't hear anything so started to think I hadn't made the cut disappointingly. Then, on returning from the October camp in Hintertux, I got an email from the coach telling me I'd been accepted and invited to a training camp! I went along last week. It was an interesting experience. The first day was spent learning how to pull the trigger. It is very refined and precise and even your breathing can affect where the pellet goes. We spent quite a lot of time pulling the trigger without any pellets and it wasn't until the second day when we were allowed pellets. It is almost meditative in how calm and focused you need to be. I really admired some of the team members who were able to sit and focus for extended periods. It turns out 15 minutes on the trot is my maximum before I need to wriggle a bit! The coach spoke to Scott and I, saying that we had been selected for the Talent and Development Team and there was a four year plan to go to Tokyo for the 2020 Paralympics! I was very flattered by this and excited about the prospect of going to Tokyo. We were shown the calendar for training camps until spring next year. On seeing this I realised how difficult it would be to combine both shooting and skiing and went to bed mulling this over. I told the coach I was training with the British ski team as an invitational athlete and had aims to go to the winter games. The next day the coach and I spoke about this and he talked about the difficulties of participating in both sports. In the back of my mind I knew that skiing was definitely my priority and is much more 'up my street'. I've learnt that its better to do less to a higher standard than more, less well. That's not to say I'll be stopping waterskiing any time soon though! Who knows though, I won't be skiing competitively forever, so maybe the summer games will be in my reach someday. I'd better work on my patience before then!